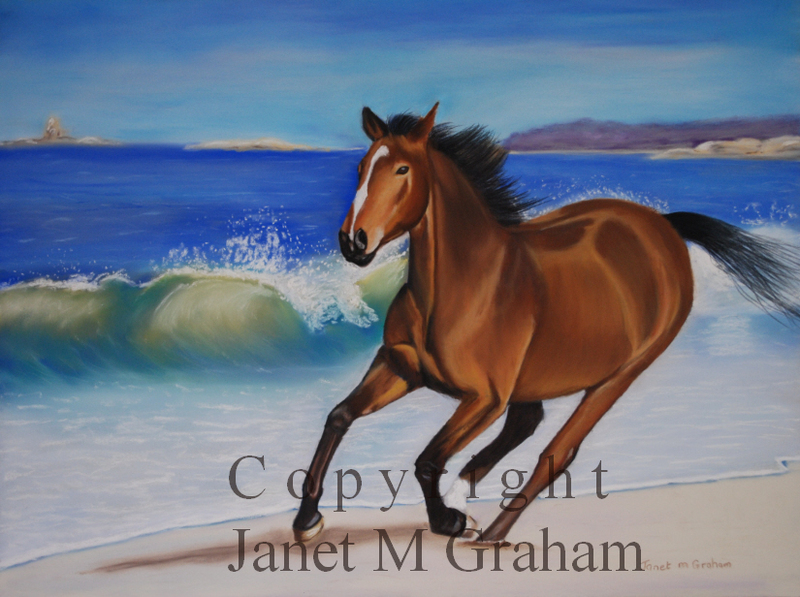 I have had an idea for a while for a painting of a horse galloping along a beach. I found the perfect horse reference photo on Wetcanvas by Canis Lupess which I was then able to combine with my own sea reference photo that I took last year in Tasmania. I enjoyed painting waves so I will have to do some more paintings that have a sea background.